Ethiopia's media looked set for profound change under reforms championed by Prime Minister Abiy Ahmed, who took office in early 2018. Imprisoned journalists were freed and exiled pro-opposition media and journalists began to return home. The government unblocked hundreds of mainly opposition websites. 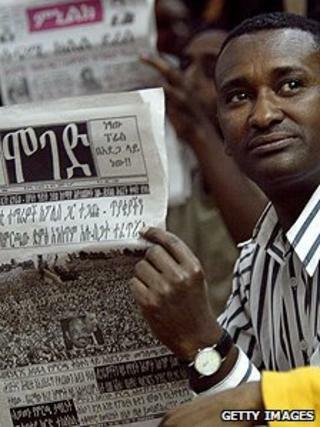 Before the change of government, Ethiopia was repeatedly ranked among the worst countries in the world for media freedom. Anti-terrorism laws criminalised reporting of the activities of banned opposition groups, and in 2016 the government announced strict controls over the media amid a state of emergency over anti-government protests. The rules outlawed watching or listening to outlets belonging to what the government called "terrorist organisations", such as the Amsterdam-based opposition ESAT TV and US-based OMN. Radio is an important medium, reaching rural areas where most Ethiopians live. Although the state controls most broadcasting outlets, there is a handful of private TV and radio stations. Press circulation is largely confined to the literate urban elite. There were around 16.4 million internet users by December 2017 (Internetworldstats.com). Under previous governments, internet and mobile networks have been deliberately disrupted during social and political unrest. Poor infrastructure and a government monopoly in the ICT sector make online services prohibitively expensive for many Ethiopians.